An emergency 'Drought Summit', called this week by the Government's land resources agency, Defra, has highlighted the perilous state of the UK's water reserves. Large parts of England are already experiencing drought conditions, with forecasters warning that it is likely to continue into the summer. 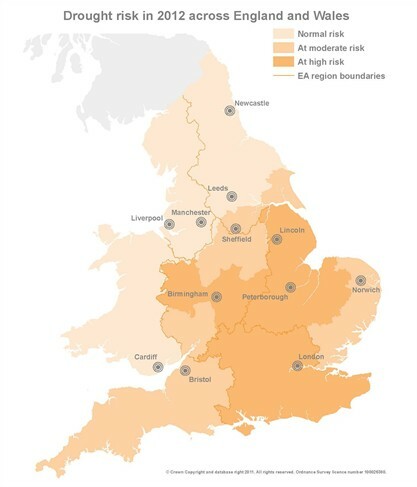 For turf managers from the north midlands to the south east and East Anglia (below), there is the very real prospect of water restrictions on irrigation resources. Many golf courses have already had restrictions imposed on existing abstraction licenses that would normally now be filling reservoirs ready for the summer. Water companies in affected areas are now expected to file for emergency drought orders and drought permits that will impose further restrictions on water use. 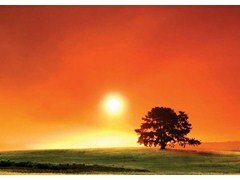 Defra Secretary, Caroline Spellman, said: "We have had the second dry winter in a row. I think that it is more likely that the public water supply will be affected, unless we have substantial rainfall between now and the summer." And almost inevitably the availability of water to golf courses and sports turf facilities is going to be turned off long before supplies to homes are cut. 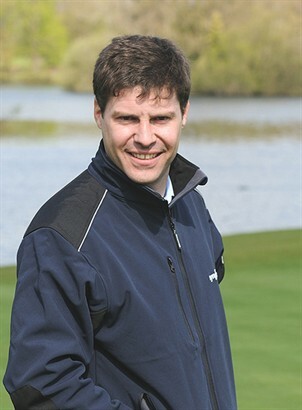 Syngenta Technical Manager, Dr Simon Watson, believes using available irrigation water more efficiently and ensuring plants can make the best possible use of rainfall will be essential for turf managers to maintain high quality playing surfaces this summer. "An effective water conservation programme will be imperative, and possibly extended across wider areas of the course than has been considered in previous seasons," he advised. "Courses that may have got by with heavy watering schedules in the past, will now need to look at better management of resources." Dr Watson reports that user trials with the new wetting agent, Qualibra, has demonstrated its valuable role for water conservation and shown it is possible to significantly reduce irrigation requirements, whilst still improving turf quality and appearance for players. "The best results with irrigation can be achieved by applying a higher volume less frequently, compared to the little and often approach - providing the water is not simply lost through the soil profile. However, in the past, greenkeepers have been reticent to adopt this strategy if there was a risk of leaving the surface too soft. "The unique double-action of Qualibra - which ensures rapid penetration of the surface water to retain a firm surface, but then holding more of the moisture available in the root zone - is ideally suited to improving the efficiency of water use and optimising plant health and quality through any dry period." With typical rainfall of less than 50cm (20 inches) a year, Glenn Rayfield, Head Greenkeeper at Felixstowe Ferry Golf Club in Suffolk, is well versed in managing turf through drought conditions. Hitherto relied heavily on twice a week tee-to-green irrigation to maintain turf quality through the dry summers, but his experience with Qualibra in trials last year indicate he could make significant savings and get better results. "The recovery rate after irrigation on the two Qualibra treated fairways was very quick, and the water uptake noticeably more efficient than the rest of the course," he reported. "On the evidence of what I have seen, using Qualibra would mean I may only need to irrigate once a week - a big saving in time and money. "Whilst the other fairways looked like they were ready for more water within days, the two on the trial looked fresh and green and stayed that way. The appearance was unquestionably better than elsewhere." 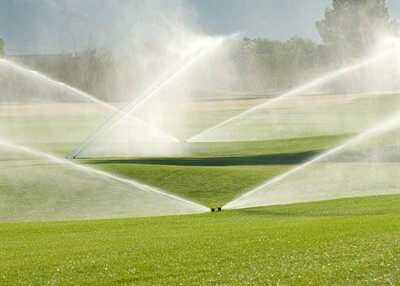 Mr Rayfield said it had changed his whole view on the economies offered by wetting agents, certainly as far as irrigating the fairways are concerned. "I never thought a wetting agent could be a cost saving factor, but the signs are it could be a real money saver for us." At Ganton Golf Club near Scarborough, the dry east coast location and sandy soils make it one of Britain's most hydrophobic golf courses. In last year's trials Head Greenkeeper, Philip Baldock, also saw a significant improvement in turf quality from Qualibra treatments. "The fairways I chose for the trial were ones that had varying susceptibility to Dry Patch; one very much so, one moderately, and another where the problem was less pronounced. I wanted to see if it was effective in all cases. All the treated turf was noticeably greener than the surrounding untreated areas. Where we had sprayed Qualibra there has been a marked and sustained improvement in sward quality. "The grass looked genuinely much healthier after application and we assessed it to be in better condition than previously," he added. Dr Simon Watson advocates that to get the best performance from Qualibra water conservation technology the programmes should start early in the season, ideally in March and early April. Each application will give six weeks or more of improvement in water holding capacity, with the potential for cumulative benefits in soil moisture efficiency and plant health benefits from repeated applications in a summer programme. "Trials have shown that Qualibra treated soils retain moisture more effectively in the root zone. After 10mm irrigation on a hydrophobic dry soil core of a typical sand-based green construction, soil moisture content was 50% higher with Qualibra, compared to the average achieved with existing wetting agents tested. "Furthermore, Qualibra was over 25% more efficient at getting a hydrophobic soil back to optimum moisture content after irrigation. In fact, with some other wetting agents over 50% more water would have been required to get the soil back to desired moisture content," he added. Additional studies have shown that on non-hydrophobic soils, Qualibra facilitates good water movement and poses no risk of excess retention or water logging. Dr Watson also highlighted that Qualibra has also been shown to encourage greater root mass and deeper roots. "Healthier rooting helps turf make better use of both rain and irrigation water resources. It can also help utilise available nutrients more effectively and recover faster from periods of stress. Stronger plants maintain better playing surface quality."